A Christmas Carol by Charles Dickens is the ultimate Christmas story. Absolutely nothing gets me in the Christmas spirit quite the same way. Of course it’s heartwarming - but there are moments in it that are legitimately scary, and there are moments that make me cry. The selfish Scrooge gets himself a wakeup call about love, and the whole thing basically culminates in a greater understanding of the meaning of life. What more could you ask for? It should come as no surprise to any regular readers that I particularly love the spooky elements of A Christmas Carol. Two spooky moments stand out in particular. 1) The first visit from Marley’s ghost - when Scrooge returns home and sees Marley’s face in the door-knocker and then proceeds to sit alone in his dark house eating dinner. 2) The Ghost of Christmas Yet to Come - obviously. Any film that nails these two parts of the story earns big Christmas brownie points in my book. The other important element of A Christmas Carol that makes it so special for me is the celebration of love and empathy. It’s the ultimate story of redemption, and the best depiction of discovering the meaning of life there is. It’s all about love and friends and family. And ultimately that’s what Christmas is all about. I also obviously have a soft spot for the versions of the film that make me tear up - usually from focusing on Scrooge’s loneliness as a boy, the death of Tiny Tim, or watching how Scrooge slowly loses the love of his life to greed. The films on this list certainly get a big boost for embellishing my favorite elements of A Christmas Carol, but many of them share an unexpected trait as well - music. There are so many incredibly beautiful songs that have been attached to A Christmas Carol, and, judging by my list, they’ve made an impression on me. I’m also not ashamed to admit that nostalgia plays a big role in my rankings as well. How could I ignore the power of nostalgia while discussing a list of movies about love and family and Christmastime? After all, I’m writing about things that I loved as a child, things that my family loves, and things that I am excited to share with my own children for many years to come. Disclosure: Some of the links in this article are affiliate links. The links in the movie titles and their pictures will bring you to view their listings on Amazon.com. 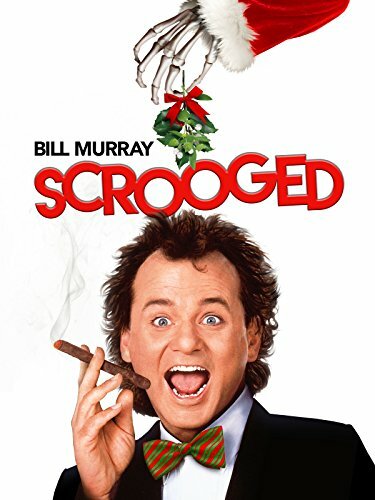 Although this is certainly the version of A Christmas Carol that I’ll have to wait the longest to share with my kids (it’s rated PG-13), I don’t think I was too much older than my 6-year-old son when I saw Scrooged for the first time. It certainly made a big impression on me. I learned a valuable lesson in how hilarious Bill Murray is - and it also scared me to death. This is definitely the version with the most terrifying and traumatizing Ghost of Christmas Yet to Come. Out of all the adaptations of A Christmas Carol, Scrooged is certainly the darkest, and most certainly the one that steers furthest off-course. Bill Murray’s Frank Cross (Scrooge) is a truly awful human being. But that’s why it’s so good. He is an absolute (hilarious) train wreck with zero empathy, and no Scrooge has ever deserved being visited by the three spirits more. It’s been listed many times now on Best Christmas Films of All Time lists, and for good reason. I probably won’t be sharing this with my kids until they’re at least 10 or so, but I can’t wait. I have a soft spot for this type of adaptation - where an ensemble cast is expertly filled in by a familiar set of friends like Mickey and the gang. 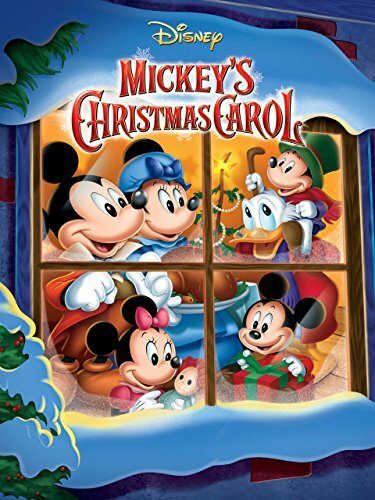 Mickey is the perfect, lovable Bob Cratchit, Uncle Scrooge finally gets to play the role he was born for, and his nephew Donald gets to play nephew Fred. How incredible is that? Did I mention that Scrooge is Scrooge? Sometimes the casting in these adaptations fits too well to be believed. As can be expected, Disney does a remarkable job with the spooky introduction of Marley’s ghost (Goofy), and Pinocchio’s conscience, Jiminy Cricket, is a great choice as The Ghost of Christmas Past - who shows Scrooge the error of his ways, and how he let the love of his life get away. I think Mickey’s Christmas Carol gets bonus points for one of the sadder girlfriend farewells, because instead of marrying her he tells her he’s foreclosing on her honeymoon cottage. Let’s get to the music! Somehow A Christmas Carol just isn’t A Christmas Carol without singing. 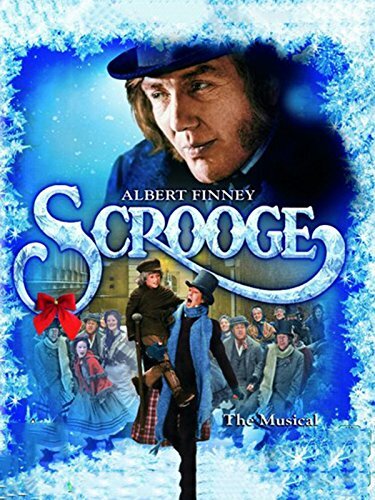 And Scrooge with Albert Finney is certainly the best live-action, traditional musical of the bunch. It’s an incredibly catchy song. Seriously, look it up. It was nominated for an Academy Award and written by Leslie Bricusse who wrote the music for Willy Wonka and the Chocolate Factory. The hilarious thing about it is that they’re celebrating and dancing and singing in the streets because Scrooge is dead. And there’s nothing better than ghost Scrooge dancing and singing along because he’s not in on the joke. Scrooge will also forever hold a place in my nostalgia-filled heart for that amazing one-of-a-kind scene where Scrooge actually gets to try on the chain he’s been forging during his miserable life. He actually takes a trip to Hell where Jacob Marley (The amazing Alec Guinness!) says goodbye, and scary men come out and wrap a giant chain around Scrooge. It really scared me as a kid. Awesome! This is perhaps the most under-appreciated version of A Christmas Carol there is. Mr. Magoo makes for a very, very good Scrooge. There might be a little bit of the nostalgia bug creeping in here, but I absolutely love the music in this movie. Every year I’m delighted to hear these songs again and sing along. One scene that makes this version stand out for me is little Scrooge all alone in the schoolhouse (complete with a very, very sad song), when all the other children went home to be with their families on Christmas. It seems like sometimes we can think of Scrooge as a selfish robot that has always been mean, and then he’s reprogrammed to be nice in the end. 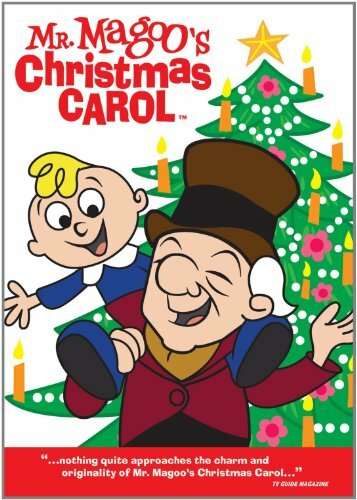 But this very sad scene from Scrooge’s childhood in Mr. Magoo’s Christmas Carol makes me really empathize with Scrooge, and wonder to myself what made him this way - far more than any scene from any other adaptation - and I think that’s just beautiful, and very important. We have a few non-negotiable Christmas traditions in our house, and my most important one is watching The Muppet Christmas Carol. Michael Caine is Scrooge. Period. End of discussion. And the Muppets are cast absolutely perfectly in every single tiny role in the film. In crafting my perfect version of A Christmas Carol, I wouldn’t replace a single role with any other actor, puppet, or cartoon in history. The songs are astoundingly well-written, and I legitimately look forward to hearing them each year - more than any other Christmas carols. The humor from the Muppets is obviously on point - plus it’s spooky, and it makes me cry more than once. 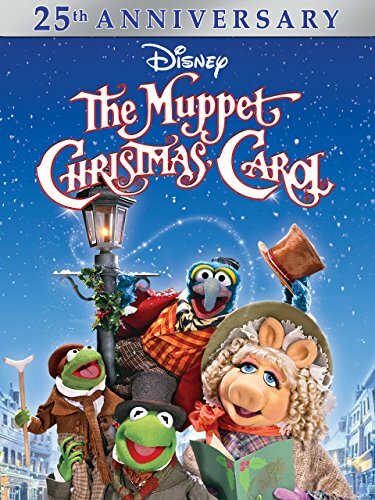 It features the absolute saddest breakup scene with the love of his life, and I challenge you to find a more heartbreaking portrayal of the effect of Tiny Tim’s death than the one given by Kermit’s Bob Cratchit. It’s hard to watch. Gonzo as Charles Dickens really manages to create the perfect melding of classic Dickens and modern humor. It’s my favorite Christmas movie of all time, and I plan on this magnificent film remaining a household tradition for many Christmases to come. Did we miss your favorite version of A Christmas Carol? There are just so many good ones to choose from. Which one is #1 in your heart?